In a month or so I am going to meet my friends in NYC for a girls-only (child-free) New York trip and I just cannot wait! I have been there before with my daughter when she was 3 years old but the visit was very child-centered and planned with a toddler (and stroller) in mind! This time around things will be very different! Everyone in our little group has their own NYC bucket list of activities and places to see – and we will sure try to make most of it happen of course. But one thing everyone’s bucket list has in common is that we want to taste NYC and try the many food, restaurants, cafes, and eateries that the city is famous for. So when I started organizing my travel journal for this trip I could not forget to add the foodie guide to NYC page! Because my travel journal is more of a memory keeper and a creative outlet than a planning system for me, I could not leave my doodles out. Many of you have enjoyed my doodles on Pinterest so I have listed below step by step instructions on how to doodle these yummy snacks too. 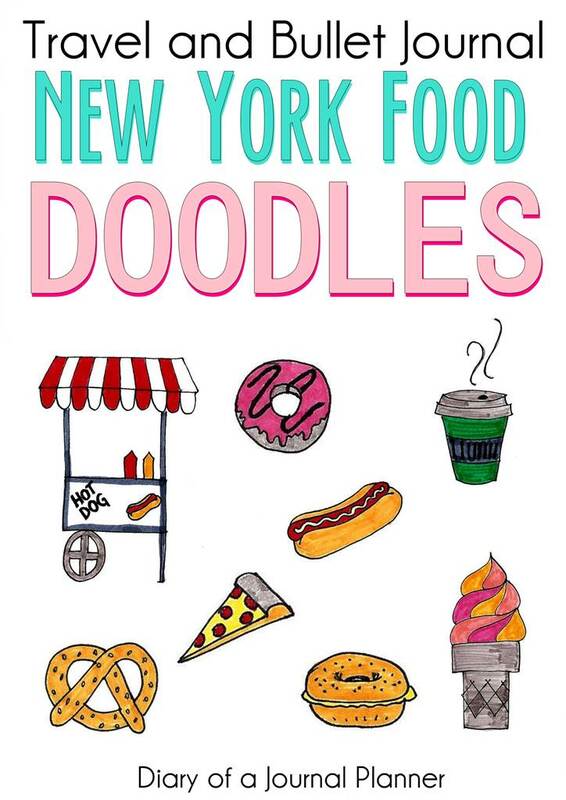 So if you are planning a trip to New York soon or just love pretzels, bagels, donuts and hot dogs you can draw them yourself on your planner or sketchbook with the instructions below. As always, please share your doodles with me by “trying” the pin on Pinterest here. I always see your work and love knowing you liked to give it a go! On my journal, I have my Foodie guide page with the eateries and place I tried the snacks I doodled. It makes a wonderful keepsake from your travels and also helps my bad memory – I just cannot remember the name of anything! 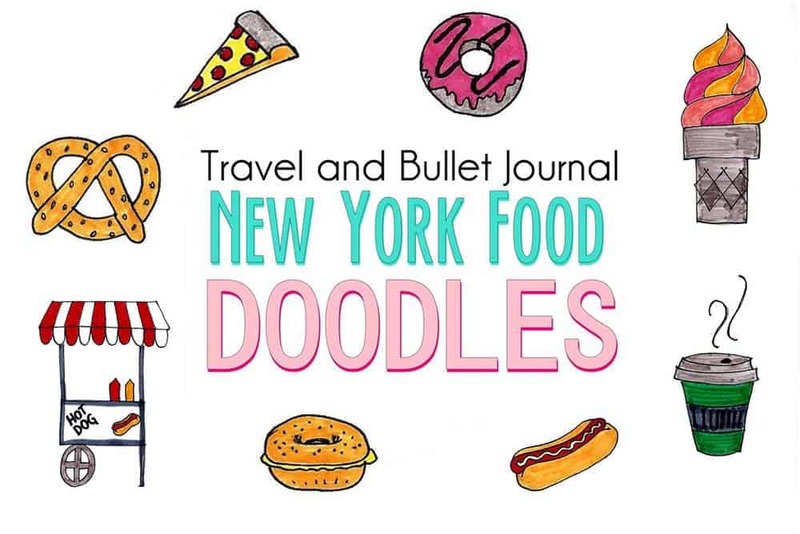 I hope you enjoy, keep reading for the step by step NYC food doodles! 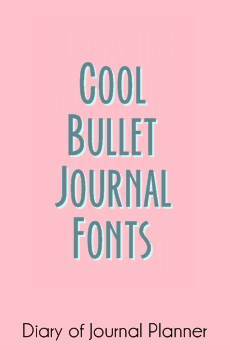 Check out now: Ultimate Guide of Bullet Journal Doodles! Before we start doodling, I have a few tips for you if you are new to this. You can doodle on any paper or loose book page. It’s therapeutic and you don’t need fancy tools at all. I use blank page notebooks or sketchbooks for my travel journals and it is where I doodle mostly too. 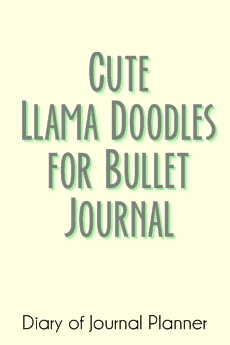 You can, however, doodle and color on lined or dotted paper, no problem! I do doodle sometimes directly with black ballpoint pen or fine felt tip pen – but I don’t mind if I make little mistakes (stickers and washi tapes are my best friends!) or if my lines are not so straight. If you do mind mistakes, if you are just starting out or if you don’t know for sure if your doodle will have a place in your spread – just use pencil and trace afterward! I love H2 pencils because they are so soft to doodle with. Remember to erase your lines before you start coloring. For this project, I colored everything pretty much with Crayola Supertips (I love them!) and one color from my Frixion set (I love them too!). But do use whatever you have at home or your favorite materials. The step by step below are pretty much self-explanatory but whenever needed I have added a few tips for you. I am looking forward to eating a pizza like a New Yorker! Follow the steps below to draw a piece of pizza. The pretzel was one of the most challenging step by step to make because it would actually be easier to doodle with a pencil, overlapping the drawing to make all elements, then trace it afterward where needed and erase the pencil overlap. This way is harder though to make a self-explanatory step by step doodle as it is not so easy to explain the drawing when something is erased without adding any words, arrows or different colors to the tutorial. So I tried a few ways before I came up with this sequence which I think is easy enough for any beginner to follow. Here are the steps to doodle an ice cream. This is a very simple representation but I love the result. I did a 3 step tutorial for the hot dog stall cart doodle because it was a larger doodle and I couldn’t fit 4 steps into my paper width. It’s still pretty straightforward and lots of straight lines. This is my favorite way to doodle donuts, I just change the toppings; add confetti and color it differently to make more donuts! It is a simple representation of a bagel, you could add a more colorful filling. Yes for coffee. Follow the step by step tutorial to draw your own cup of coffee. And that is it for now. I will definitely share my whole NY travel memory journal when I am back from the trip! 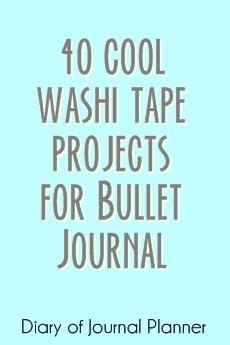 This is so cute and simple- I’m inspired to give it a try! Thank you so much Katie. Make sure you show us how they turn out.